Udon are thick Japanese rice noodles that have great texture and flavour. Buy them fresh in the refrigerated section of Asian markets or dried from any grocery store. Bring a large pot of water to boil over high heat. Have a large bowl of ice water ready. Add carrots (do them separately if you want to keep them divided when serving or all together for faster assembly), snow peas, cabbage, and spinach to boiling water and blanch until crisp-tender, about 30 seconds. Using slotted spoon, transfer vegetables to ice water to stop cooking (reserve boiling water), then transfer to colander to drain. Set aside. 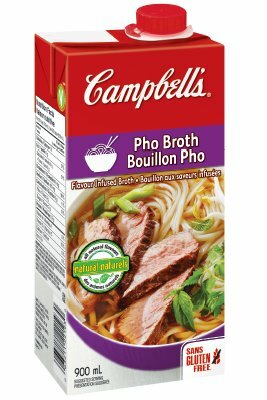 Boil noodles in same water until just tender, following package instructions. Drain and transfer to 4 bowls. In medium saucepan over moderately high heat, combine broth, soy sauce, mirin and ginger. Bring to simmer, then add mushrooms and shrimp until mushrooms are tender and shrimp are opaque, about 5 minutes. 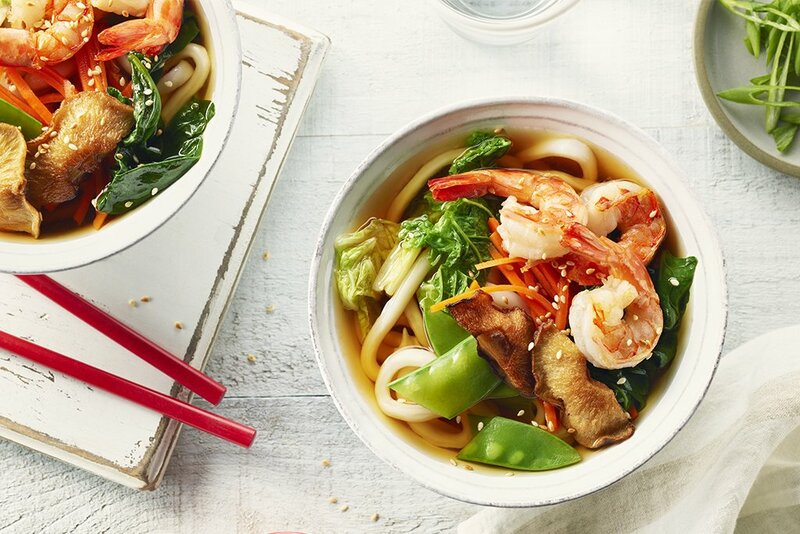 Divide vegetables between bowls atop noodles, then ladle hot broth, mushrooms and shrimp over. Sprinkle with green onion and sesame seeds and serve immediately. For crispy shrimp: Pat shrimp dry and toss with 1 tbsp (15 mL) cornstarch. Pan fry the shrimp in 2 tsp (10 mL) sesame oil over medium high heat just until opaque, about 1 minute per side. Serve in hot broth.